two90 Construction Group serves commercial and industrial roofing customers across the State of Texas. 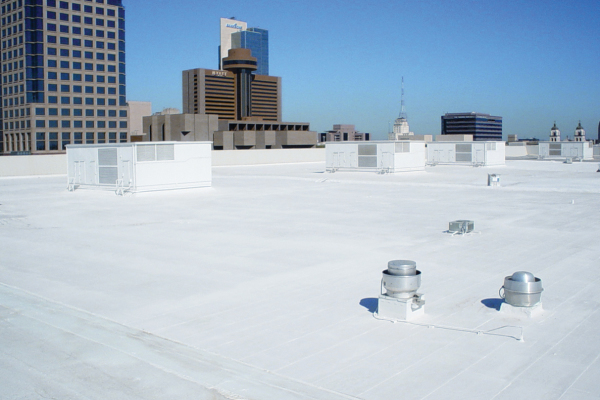 We offer expert service and affordable prices on all commercial roof repairs and installations. Your business is a huge investment that you want to keep protected. A proper roofing system protects your employees, customers, and inventory. Most often, we can safely repair your commercial roof rather than replace it. However, if your roof requires replacing, we are a leader in providing commercial roof replacement services. We are proud of our reputation and will provide you with a fair quote, options, and a maintenance plan to best suit your roofing needs. Whether the issue is routine maintenance or an emergency leak, we are equipped with top quality roofing leaders to handle the situation with minimal interruption to your business. We offer free roof inspections by qualified professionals who present all of your options for repairing your commercial roof. Regular service and maintenance is essential for a problem free roofing system. In order to avoid costly repair or leaks, have your roof checked annually by a qualified commercial roofing professional. Our inspections include checking seams, wall flashing, coping caps, pitch pans, sealants and more. We are experienced with a wide variety of industrial and commercial roofing types. Whether you are in need of repairs of a traditional roof, or are looking to include new environmentally friendly roofing style saving hundreds to thousands of dollars each year. During every phase of work, we will keep you up to date on the progress. You will be informed when materials are to be delivered and when crews will be working on your project. You will know what’s going on at all times. We are a certified installer for most commercial roofing systems. This means our customers receive the most advanced product and installation practices and warranties.